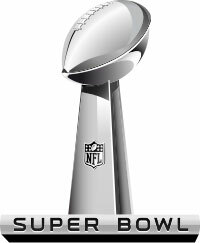 Just like every year before it, this second Sunday after the NFC and AFC Championship games marks the big day when everybody in America is focused on one unifying event: The Super Bowl. The Super Bowl is truly a spectacle like no other. It boasts incredible athletes, loads of strategy, gigantic ratings (equally gigantic advertising rates), and memorable commercials. There is a lot on the line – billion dollar franchises get to go head to head for the title of the best team in the world. The stage is set with tons of athletic celebrities, but every year, there is one huge musical celebrity that gets the nation’s eyes for the esteemed halftime show. Year in and year out, it sets the bar a notch higher. Demanding an artist that can cross genres and speak to the entire audience. Why? Because if you turn away for this performance, then the advertisers don’t want to give any money at that time block (as nobody’s watching their million dollar commercials) and the NFL and/or the broadcasting station obviously don’t want to lose out on that. The Boss is known for never-ending intense concert events, so keeping him locked down to 12 minutes was a pretty risky move in and of itself. It’s a gamble that worked perfectly. It was like seeing a to-go-sized Springsteen greatest hits album in your living room. What’s not to love about the Rolling Stones performing at halftime? It’s the Rolling Stones! It’s true that they play sold out stadiums across the world, so the Super Bowl is just another gig to them. But to others, hearing “Satisfaction”, “Start Me Up”, and more infamous rock tunes live, is a thing of beauty. There were more memorable concerts that left people very interested. The Prince performance from 2007 was phenomenal for two reasons: that guy has ridiculous guitar skills and he did some other beloved covers – it helped to transcend audiences. Michael Jackson was nothing short of remarkable during his 1993 performance. Beyonce’s performance from 2013 was memorable more so because it drained the power from the stadium immediately following it, the Janet Jackson wardrobe malfunction of 2004, U2’s 2002 performance, and the list goes on.